Timmy Larr’s idea from is quickly developing into this year’s most highly anticipated adaptive needs sailor event. The Clagett mission is to provide sailors with disabilities the opportunity to improve their skills and reach personal goals through world-class coaching and competition. The Clagett Regatta take place in Newport, Rhode Island each year and is dedicated to the memory of Tom Clagett. Tom who was a strong, tough, driven person who was dedicated to the values of Corinthian sailing and sportsmanship. This adaptive sailing regatta seeks to emulate his spirit for healthy competition. Five leading sailing organizations in the Northeast have combined efforts to offer the first ever match racing regatta in the area for adaptive sailors. After three years of success the Clagett Oakcliff regatta has become an annual event. Now in its third year, the Clagett Oakcliff Match Race is not to be missed! If you care to make a tax deductible, charitable donation to The Clagett Regatta to help these amazingly gifted people, please click on the "Donate" button below. Volunteer at The Clagett Regatta. The Clagett needs volunteers for the clinic and regatta in Newport and Oyster Bay, both on land and on the water. Sign up today! During Clagett we can alway use extra support, spectator and race committee boats. You can loan or volunteer with your boat at Clagett Newport to help us! “I haven’t been able to sail and it’s just, it’s that freedom again." The C. Thomas Clagett Jr. Memorial Clinic and Regatta has established a Boat Grant Program for adaptive sailing. 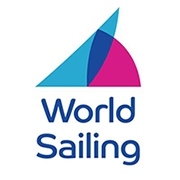 The goal of The Clagett Boat Grant Program is to provide selected sailors and sailing programs the opportunity to experience, train, and race in adaptive sailing events and disabled sailing regattas by granting the recipient a competitive boat with insurance coverage for the selected sailor or sailing program. The Grant provides for the use of the boat and equipment for up to 4 years. Through a generous grant from The Bonnell Cove Foundation The Clagett Regatta was able to conduct an in depth life jacket study. The study touches on several facets of lifejacket safety, both for able bodied and disabled persons. Results from the study include a discussion on the effect of body shape on lifejacket safety and usability. The Clagett Regatta has conducted the lifejacket safety study in the hopes that it will educate both able bodied and disabled sailors and provide access and insights into choosing the right lifejacket. The Clagett Regatta is a sailing charity in Newport, RI. Founded by Judy and Stephanie McLennan in 2003, the C. Thomas Clagett, Jr. Memorial Clinic and Regatta honors the late Tom Clagett (1916-2001). Tom was a U.S. Navy World War II veteran who learned to sail on Chesapeake Bay. As a young man Tom Clagett suffered temporary paralysis as the result of meningitis; an experience that left him with a deep respect for the accomplishments of people with disabilities, disabled sailors and sailors with adaptive needs. The Clagett Regatta's mission is to "provide disabled sailors and adaptive sailors the opportunity to improve their skills and reach personal goals through world-class coaching and competition." The Clagett Regatta was inspired by a convesation the co-founders had with their friend Robie Pierce (pictured below). Competitors often comment that The Clagett has improved their quality of life as they apply what is achieved on the water to everyday situations. Through sailing the "playing field," so to speak, is leveled. The Clagett Regatta has hosted a regatta in Newport, Rhode Island for the past seventeen years. The C. Thomas Clagett, Jr. Memorial Clinic and Regatta in Newport, Rhode Island is the original Clagett program. 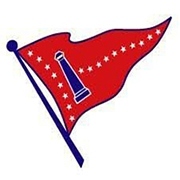 Each year disabled sailors, adaptive sailors, and able bodied sailors sign up to participate in this regatta on Narragansett Bay. The boats sailed were originally based on the Paralympic class boats, which were then adapted to fit the needs of each individual using handicap boat accessories. After the recent decision not to include sailing in the forthcoming Paralympics the Clagett boat classes have changed. In the past the boat classes at the Clagett Regatta have included Sonars, 2.4mRs, SKUD-18s, RS Venture Connect, and Martin 16s. At the regatta Hoyer Lifts, or handicap boat lifts, which provide handicap boat access and boat access for wheelchair users. All of the participants, volunteers and Race Committee strive to deliver the best experience possible for the Clagett sailors. After the over ten years of success in the original C. Thomas Clagett, Jr. Memorial Clinic and Regatta for disabled sailors, The Clagett partnered with Oakcliff Sailing Center in Oyster Bay, New York to bring match racing to disabled sailing and adaptive sailing. The Clagett Oakcliff Match Racing Clinic and Regatta is the first regatta of its kind, sailed in Sonars on the Long Island Sound in New York. Eight teams have competed over the past three years, with a high success rate and excellent coaches. 2019 is Clagett Oakcliff's fourth year of disabled match racing.